Sunday we had such a great time in service! The praise and worship was awesome and Pastor Mike taught a powerful message on the value of change while declaring 2017 as the year of change. As he began to dive into the Word of God, he shared on how so many mismanage opportunities of change due to three things: one being fear, two they can’t afford the commitment of change, and three their affiliates. While he was ministering he asked a young lady from the congregation to come to the front. As she made her way to the front, I noticed how she lost a lot of weight. He asked, “What did it cost you to lose the weight?” The young lady began to share so many great nuggets about eating habits and how her commitment and consistency helped her to prepare and maintain her lifestyle change. One thing that stuck out to me that she shared was the necessity of preparation. She took us through the process of how she prepares her meals in advance so that her commitment to her lifestyle isn’t compromised. That was so good to me! A lot of people don’t prepare. I am one who prepares. I lay my clothes out for church the night before. I prepare my conference almost a year out. I pack a week in advance when I travel. The young lady was sharing about weight, but preparation covers all areas. The blogs you read here, I want you to always apply to every area of your life. When something comes up unexpectedly it doesn’t throw me off, I just make an adjustment. Like if my husband wants to go out or something comes up at church and I have something else to pack for it doesn’t throw me because I am already ready. You must prepare in private so you can present in public. One of my most recent changes was becoming an empty nester. You may have read my blog about my experience (read here). What I did not share is that I prepared for this season of my life. This transition was not as difficult as it could have been for me because of my preparation. Mentally and emotionally I began to accept what I knew to be apart of life – that my children would move on as independent adults. You accept it before you get to it. You don’t fear it, and you don’t let anyone talk you out of it, you commit to the change and you move forward. The same with spiritual matters, it’s the order of God to be prepared. Prepare means to expect. It’s like a woman giving birth. She makes all the preparations necessary to make sure that her baby and herself have everything they need. She chooses where to live and if it’s a good environment for her baby, she paints and decorates the baby room, buys a bed, clothes, toys, bottles, and other stuff… She is in a posture of expectation. What are you expecting? Stop saying you are expecting something if you are not preparing to receive. If you are planning to marry and can’t cook or clean or don’t brush your teeth you should start. Stay connected and stay prepared. Awesome timely word once again!!! Love it, “stay prepared”!!!! Very needed!!! Amen I needed this! 2017 is he year of change for me! I was stuck in a rut due to fear, finances, and affiliation. However, about 3 months ago I decided hat I was ready for change so I updated my resume and began applying for jobs it took about 30 days and I began getting hits for interviews. I prepared myself before each interview and after my third interview I was the top candidate for the position!!!! There is also another opportunity that is affording me a second interview with another company that could prove to be more lucrative that I will be getting a call about real soon!!!! I am excited that I stepped out of fear and prepared myself for the change that I need in my life for this upcoming year 2017!!! I was just beginning to think you forgot us. I soo needed this. I am such a procrastinator. Thanks for sharing! I now that I have to prepare to receive what I am expecting. Thanks for always sharing, this was right on time for me. Thank so much for that word I needed it so much and am prepare for the change. That what I hear and putting it into operation. Thank so much. Thank you Dr. Dee Dee for another inspiring and on time word from the Lord. What I took away from this blog is “I must prepare in private, so I can present in public.” I truly love and appreciate you for all that you do to advance the Kingdom of God. I love this and try to always be prepared in all I do. Thank you. To God be the glory!!! Dr. Dee Dee, thank you, thank you, and thank you again!!! I am so totally grateful to God for allowing you to be in my life. I am so much older then you in age, but God has allowed you to be a mother and role model to me in my faith walk and in my ministry. I too was born and raised in Washington DC (South West). It brakes my heart when I think of some of the little things (yet, of enormous importance) I didn’t learn at home or within our communities. Things that affect us in major ways: the importance of being on time taught by Pastor Freeman, and the importance of preparation as always being taught by you. Again, I give God all praise, glory and honor for allowing you to be a part of my life. God always provides just what we need. I really needed this message from you today. You are such a blessing to us in the Body of Christ. I love you Dr. Dee Dee and praise our Father for you too!!! 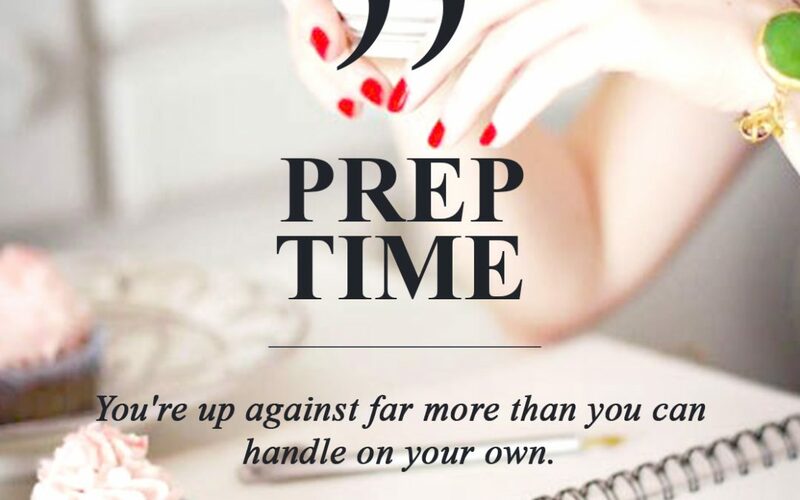 I forgot to mention…I shall begin today to practice preparation in all areas of my life. Brush your teeth! lol Good nugget Pastor. I will take this to heart💗.I must prepare in private so I can present in public. Timely word as always! I am learning to prepare for my next year beginning in October of the current year. Traveling this weekend and haven’t even begun to pack. Dr. Dee Dee I will start tonight – be prepared!!! Love this message! I do get easily thrown off and/or down about things and it’s because I’m not as prepared as I should be. Yep – that’s definitely it and you hit it on the nose for me. I won’t get to the next level that I’d like to be at because I have not prepared for it. Financially. Mentally. Spiritually. Thank you Dr. Dee Dee for the daily reminders to do better, be better and get in the Word! Thank you so much I needed to this. Love it. I have posted on my cubicle at work to “Pray, Plan, Prepare.” I’m a work in progress and don’t do it daily but I see a big difference when I’m prayed up and prepared. Thank you for your inspiration. Preparing for the changes that will take place in 2017! This blog was rich with information! “You must prepare in private so you can present in public.” That’s one of the main things that stood out to me! The way I can relate to this is, when you prepare in private, you allow God and those He has sent to help you to fine tune the details. When it’s ready to be presented in public, it’s only God’s very best! I just read this awesome word. I so needed this. Thank you thank you. Now let me brush off and get to work. I didn’t prepare for any of this and I am having a lot of challenges in so many areas right now.it seams that everything has and is happening to fast, then I just get stuck. Yes I GOT IT change is CHALLENGING and NO QUITTING ALLOWED and SO WHAT IF IT’S HARD. I got all of that it’s just a lot going on at this time. Maybe after the holidays you can meet with me. I loved this. Change is inevitable. We will all experience some changes even before the year ends. All change isn’t bad, but change can be stressful if we are not prepared. There are changes that we will experience in 2017 that no one can really prepare for, but we must have our faith grounded in God’s word. We must build on a solid foundation…Jesus. This is soooo good. The Lord have told me to prepare… And this was so on time. Thank you Lord!! Wonderful message! I gotta try packing a week in advance. I usually do it a day or two in advance. Great nuggets! Yes yes yes, this was such a blessing !! I will continue to press forward be focused and prepared with consistency. Living in daily expectations !! Great words of wisdom. I needed to here this . Thank you ! Late reading this but timely.blessings and love thank you for this word. Great post! This is so true! Could it be that our blessings won’t come as fast as we like because we haven’t prepared ourselves to receive? When I read this blog, I thought about the football game played the other day. One man kicked the ball and the other man ran, while looking steadfast on the ball, with his arms semi-folded in anticipation to catch it. He was expecting to catch the ball. Preparation puts us in the receiving mode. So true about being prepared. The Lord ministered to me also about being prepared because if something comes up you will know how to adjust. God is good. Thanks for the blog post. It really put into perspective what I am going through. I am preparing for the worst but expecting the Best from God. Thanks again Pastor DeeDee!